“R. Panikkar came to see me after three and a half years residence in India: - I am a true Hindu and a true Christian; […] We stayed on my terrace for almost three hours. Panikkar is also a Yoga practitioner; seeming to be 25-years old he is actually over 40. He would like to establish an encounter between India and Rome”1. That’s what the philosopher Enrico Castelli entered for 18 May 1958 in his Diari. The two men had last met in the autumn of 1954, when Panikkar was leaving for India. After 42 months, during a beautiful Roman spring, Castelli’s apartment door opened to invite his friend to enter. And crossing the threshold he confronted a new stage of his life that would unfold primarily in Rome for about five years. It would have been one of the richest and most decisive periods if it had not been unfortunately dramatically interrupted. If the beginning of this stage is symbolically marked by the opening of a door in Enrico Castelli’s house, its closing was recorded by the same philosopher, who on 20 April 1964 wrote to Panikkar: “Here young people (and even those not so young) who knew about it very much regret your absence”2. Raimon was once again in India. Between the inviting open door and the phrase that has the taste of absence is inserted a history that must be related. But perhaps instead of ‘relate’ one should say ‘attempt to reconstruct’ because, even with information at our disposal, some key points of this period lie in the zone of shadow wrapped in silence. We know for certain that Panikkar arrived in Rome in the spring of 1958, but in the same year he was also in Madrid where he had defended his thesis and obtained a degree in chemistry. Meanwhile, between the spring and summer of 1959 he returned to India for a brief sojourn. Surely, after his long absence from Europe he would also have spent some time with his family in Barcelona. Then he stayed mostly in Rome, or perhaps it would be better to say that his life gravitated around Rome, because this man also traveled a lot beyond the peninsula. But given that his preceding sojourn in India was seen by others and lived by Panikkar himself as a parenthesis in his development, his second sojourn in Rome now under discussion was seen and lived from its very inception as something permanent and decisive, in so far as things can be permanent and decisive in this life. Before 1963 he had not thought of settling in India. On the contrary, it seems that he truly wanted to live in Rome. As a member and priest of Opus Dei he was subject to the law of obedience. Therefore his return to Europe and residence in Rome had to fit in with the objectives and internal dynamics of that organization. In other words, his sojourn in Rome was in some way programmed, desired and imposed by his superiors. Opus Dei wanted Panikkar in Rome because at this period it wanted to develop in Italy a series of activities in academic circles and he, with his talents, was seen as one of the men most adapted to this goal. On the other hand, the Roman context was much richer and more favorable compared to the oppressive and poor climate of Francoist Spain from which he was thereby removed. In the Roman context Panikkar felt like a fish in water and with time had become a true celebrity. His personal talents combined with the winds of history had made him fly high on the hills of the Eternal City, but this would be – as we will see – only the flight of Icarus. I won’t stop to further develop this metaphor, which would lead to an attempt to establish who corresponded to Dedalus, who to the Minotaur and what the Labyrinth was. It’s easy to imagine the rest. When Panikkar was about to leave Rome in 1954 to go to India Enrico Castelli had affirmed: “You will return Pope”. Four years later, in the spring of 1958, the same Pope, the eighty-two year old Pius XII, was still on Peter’s throne, but changes would not be made to wait. Pope Pacelli died on 9 October 1958 and Cardinal Giuseppe Roncalli wrote about the event in his diary: “we are not here to be custodians of a museum, but to cultivate a flowering garden of life and to prepare a glorious future. The Pope is dead. Long live the Pope!” Not even three weeks later, on 28 October, the author of these words became Bishop of Rome choosing the name of John XXIII. Panikkar was in the city3 at that time and was probably there also when the new Pope, on 25 January 1959, to the surprise of all, launched the idea of a council. Preparatory work lasted almost three and a half years when, on 11 October 1962, the 2nd Vatican Council was opened and Rome found itself at the center of attention of the entire world. It was the largest assembly history had ever known. More than 2,500 participants met four times during the sessions, which always took place in autumn. The Council liberated much energy and launched, more or less directly, many diverse social, political, philosophical, theological and cultural initiatives. Many events filled the hearts of many with hope. To think of Panikkar’s second sojourn in Rome means to see him right in the middle of the council movement that in some way touched him, attracted and more and more involved him. There is no need however to emphasize, as we will see, his participation in the event. He was present in Rome both during the first session (11 October - 8 December 1962) and when John XIII died (3 June 1963) as well as when Paul VI was elected (21 June 1963), but during the second session of the Council (29 September - 4 December 1963) his presence was marginal if not non-existent. After that he disappeared from Rome, and his absence, as Castelli writes, was felt by many. While speaking about his past the sixty-seven year old Panikkar affirmed: “I don’t think it can be said that I had a maestro, and I say this as something negative. I think that, in Indian terms, a karmic line begins in me, more than that I follow other lines. On the other hand, I have not come out of nothing, I have had very good maestri and also many friendships with persons I have respected, that I have loved and from whom I have learned. […] I haven’t thought very much about who the luminaries were that served as points of reference for me because I have always been somewhat of a self-thinker; I have let myself be influenced, but have not followed anyone in particular”9. These are significant words that must be taken seriously into consideration if one wants to understand the life and thought of this man. Following his path every once in a while ‘luminaries’ appear by whom he let himself be influenced, but with whom he did not linger very long. Having the opportunity to reflect on his entire life and possessing a certain temporal, emotional and intellectual distance, we can do that. Thus, on close observation, I can distinguish three crucial persons, three epicenters around which Panikkar ‘turned’ before traveling on an ‘independent’ line. These three centers, or personages, in my opinion are Josemaría Escrivá de Balaguer, Enrico Castelli and Henri Le Saux. I realize that this thesis may be disconcerting for some, but this conviction was ‘automatically’ formed while drafting this book and I find it rather evident. One must moreover keep present the dynamic rule that could be summarized in three words: fascination, assumption, transcendence; or entering, embracing everything and going further. Panikkar undoubtedly underwent fascination for these three personages, took the best and everything he could from them and then with this baggage went further. From Escrivá de Balaguer and from the spirit of Opus Dei he took the classic sense of Catholicism, thanks to Enrico Castelli and his intellectual contacts he succeeded in formalizing the philosophical structure of his thought, while with Henri Le Saux he set forth toward a synthesis between Christianity and Hinduism. In the period we are discussing, the most important person for Raimundo was Enrico Castelli. This Roman philosopher was a true friend and maestro for him. I hope that in subsequent chapters the Castelli’s friendly presence will clearly emerge and that the profile of this friendship will also be made more precise. But in what sense can one speak of Enrico Castelli as Panikkar’s maestro? Perhaps in the sense Marco Olivetti spoke of the Roman philosopher right after his death: “Not everyone is able to find a Maestro; or rather, not everyone is able to find himself thanks to a Maestro. Because a Maestro is not one who allows the apprentice to master certain fixed details, or who imposes his own daimon by creating more or less faithful pupils. A Maestro is one who awakens the apprentice’s daimon thus allowing him to find himself; a Maestro is one who tirelessly keeps the apprentice awake, forcing him to understand himself. That’s what Enrico Castelli has been for me”10. Panikkar could say the same thing and these words complete and interpret what we mentioned above in the quotation. That said, let’s look at some facts. Enrico Castelli Gattinara di Zubiena (1900-1977) was a unique, fascinating and grandiose figure in the panorama of contemporary Italian and European philosophy. The fact that today he has been forgotten only confirms the banality in which today’s culture has fallen, that doesn’t know what corner to insert the work and figure of this philosopher, because it isn’t even able to pose such a question. At the end of our work let’s only say that when Castelli and Panikkar met for the first time in May 1947 in Madrid, the former had a long and fertile path behind him. Dedicated to philosophy, he quickly began by publishing in 1924 the book Philosophy of Life, followed by other texts: Labertbonnière (1927), Philosophy and Apologetics (1929) and Idealism and Solipsism (1933), which by their titles already indicate the direction of Castelli’s reflection, or really, a slow change in position from German idealism toward existentialism. During the Fascist epoch and the Second World War the philosopher practiced that style which would later be defined as ‘diaristic’, usually publishing (under the pseudonym of Harry Glower or Dario Reiter) books like Introduction to the Life of Words (1938), Prelude to the Life of an Ordinary Man (1941), Impressions of a Voyage (1941), Thoughts and Days (1945). The three post-war decades mark the full maturity of his activity, and when I use the word ‘activity’ I consciously indicate his ‘irradiation’, which had gone far beyond the writing of philosophically refined texts. It was just this period that Panikkar had come to find himself in his sphere of irradiation and activity that influenced him in diverse aspects. The two visited, exchanged letters and collaborated up to Castelli’s death, i.e. exactly in the time frame of thirty years. Their bond, which quickly became friendship, is documented by their philosophical work and the cultural, university and church activity they had in common. To be able to analyze all of that we fortunately have at our disposal the four thick volumes of Enrico Castelli’s Diaries and the unpublished Panikkar-Castelli correspondence which contains about 160 letters, a veritable treasure and monument to their friendship which also permits us to reconstruct some events of Panikkar’s life. 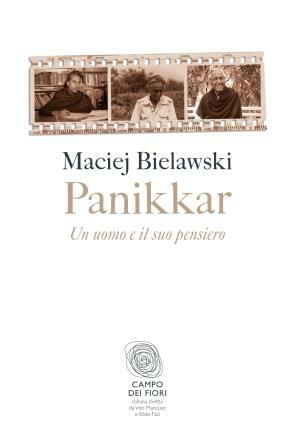 The Italian philosopher was not easily impressed, but from the very beginning he remained moved by Panikkar, which says a lot especially considering the almost twenty year difference in their age. Thanks to Panikker, when they met through Spanish governmental organizations, the entire ‘representation’ of Italian philosophers headed by Castelli, was able to be sponsored and represented to the International Congress of Philosophy at Barcelona in 1948. The two remained in contact, exchanging some writings, research information and small events of university activity. They became friends during Panikkar’s first sojourn in Rome, i.e. between 1953 and 1954. From viale Bruno Buozzi 73, the seat of Opus Dei’s Roman center and Panikkar’s residence, to Castelli’s apartment in via Lagrange was about a quarter hour by foot. Let’s recall the significant salute that Enrico Castelli gave him before his departure to India, the fact that from India Panikkar would send him letters that communicate the nostalgia he feels for the Italian philosopher to whom he feels particularly tied, his offer to have Castelli’s publications sold in Indian universities and to find valid thinkers to invite to participate in Rome at philosophical meetings organized by his friend. To simplify matters, there seems to me to be four aspects by which their relationship and friendship continued to be expressed and increased: informal encounters, meetings, university and Council. Enrico Castelli was not only a philosopher, a professor and a writer, but also organizer and an institution in himself and as such he knew how to move well between Italian state and ecclesiastical institutions. He knew how to do that with perspicacity and a truly philosophical irony in which the desire to reach a goal was harmonized with the appropriate distance of a sage. But above all he was in relationship with ‘everyone’ and a point of reference capable of gathering around himself, in favor of his own philosophical goals, the most enlightened minds of the epoch. As has already been said, because of the Council, the ‘great men of the epoch’ were about to arrive and in effect were already arriving. Enrico Castelli in this cultural climate organized ‘Meetings’, with time called indeed ‘Enrico Castelli Meetings’, which occurred always in January and were extraordinary events that in some way coincided with the Council event. Having returned from India, Panikkar was immediately involved in various activities of Castelli. The philosopher’s Roman house assumed the aspects of a ‘philosophical salon’ in which met thinkers of various nations and his various contacts. Also often present was Panikkar who thus was able to meet in person Italian thinkers like Luigi Pareyson, Augusto Del Noce, Felice Balbo, Ugo Spirito, Carlo Bianco, Pietro Prini, Marco Olivetti; theologians and men of the Church like Giuseppe Dossetti, Carlo Colombo, Johannes Baptist Lotz, Jean Daniélou, Henri de Lubac, Karl Rahner, Hans Urs von Balthasar, Henri Bouillard, André Scrima; but also Oscar Cullmann, Mircea Eliade, Károly Kerényi, Gershom Scholem, Paul Ricœur, Georges Dumézi and others. There is no need to add that they are all names of prime importance in 20th century Western culture. Thanks to him Panikkar was able on one hand to dialog with these personages and get to know them close up, and on the other hand become known and noticed. From Castelli’s Diaries it can be seen that very often during these informal encounters, without exaggeration, it was Panikkar who shone and fascinated the most. Besides intellectual talents, linguistic capacities and personal grace, Raimundo introduced into these encounters a tinge of exoticism and a different point of view while speaking of karman and of Brahman and introducing examples of the millennial Indian philosophical tradition. All this is striking especially if you keep in mind that this same Panikkar, even though he already knows something about India, in Indian and Hindu questions he was still a beginner. But the little he did know was already a lot for these ‘Westerners’ and enough to stir up their conceptions. Moreover, this same Panikkar was beginning to navigate more and more ‘full sail ahead’ in these Roman circles. After the interesting but relatively poor atmosphere of India, rather far away from the sterility and restriction of the Francoist Spanish culture and the traditional theology of Opus Dei, Rome during the Council and the context created by Enrico Castelli became for him a breath of fresh air and sun rays thanks to which he could finally flourish. Shortly after his return from India, on 28 October 1958, precisely during an informal gathering at Castelli’s house, “Panikkar told the following story: there was a visit (guided by St. Peter into several different heavens of Paradise) of a European and American commission. When they reached the 5th heaven St. Peter turned to the participants of the commission, imposed the most rigorous silence and made everyone take off their shoes in order to avoid making even the least noise. The members of the commission asked the reason why. St. Peter cracked open the door to permit only a view from a distance: ‘The Catholics are here. They think they are the only ones in Paradise and must not be scandalized’”11. We all know this old joke. But while reading it in the diarist style of a Roman philosopher we must not forget that an Opus Dei numerary was telling it in Rome during the papacy of Pius XII. Here’s another anecdote dating from this era. On 23 October 1962 at the Collegio Germanico a debate takes place between Karl Rahner and Raimundo Panikkar moderated by Enrico Castelli himself12. During the discussion on a theological and historical theme, Panikkar at a certain point affirms that the Christian of tomorrow will either be a mystic or he won’t even exist. I don’t know what effect those words had at the moment and what the person who pronounced them meant to say. The fact is that that sentence, later inserted in Rahner’s essays, with no indication of its real author, enjoyed a true and real success among Christian theologians. It entered manuals and books of spirituality. Everyone, like an echo, repeated what Rahner wrote. Thus the sentence spread becoming the property of everyone. Once uttered, it possesses its own life and can be understood and interpreted in different ways. It would be interesting to study the different meanings given to it by different authors throughout decades. From such a study one could learn a lot about what an author thinks about Christianity and how he understands mysticism. Nevertheless, it would be good to remember that the sentence comes from Pankkar who, behind the scene of activity, had his own way of understanding mysticism and Christianity, which was quite different from that of Karl Rahner. It is a charming and dramatic sentence. Christianity, which was considered a superior religion and a universal salvation, now needs an ‘injection’ of mysticism in order to survive. It doesn’t save, but needs to be saved – here one needs to take ‘salvation’ also in its original meaning, i.e. of ‘health’. The Christian should be healed and Christianity should be transformed with the help of mysticism. This is the conditio sine qua non of their future. This is the perspective from which Panikkar would always more and more look at Christianity and being Christian. The history of the sentence could be taken as a symbol of how Panikkar’s work would have ‘functioned’. So many of his intuitions, even in a slightly modified form or even distorted, have entered in circulation making one think, influencing minds and life styles. But not everyone knows that they were ‘created’ by ‘a certain’ Panikkar. It must be added that Panikkar could have had certain intuitions, as those at the basis of that sentence on mysticism and the future of Christianity, just because of the evening discussions with Jules Monchanin in India. Nevertheless, these thoughts, repeated and pronounced in Rome in the era of the Council, resound in a different way and their echo is expanded through time and space. In Rome during the early 60’s, the period now under discussion, Panikkar was not yet a professor, but a chaplain who worked in academic circles and among students as a member of Opus Dei’s Priestly Society of the Holy Cross. At the beginning he lived in the Opus Dei center on via Orsini, on the other side of the Tiber facing the Piazza del Popolo, then at EUR in the International University Residence (RUI) just opened by Monsignor Escrivá de Balaguer which was the first Opus Dei college in Italy and the first step for the diffusion of its activity in Italian academic circles. Panikkar was its chaplain and had about sixty students under his direction. But we know that his pastoral activity extended far beyond this center. He was regularly seen celebrating mass in the Casa Internazionale dello Studente (CIVIS), not far from the Olympic Stadium and even in the University Chapel of ‘Sapienza” near Umberto I Polyclinic. For a certain period he celebrated daily mass there at noon, which remains etched in the memory of some participants because of the brief homilies in which every time he commented on some words from the missal such as sanctus, agnus, gloria hosanna etc. Mass was conducted in Latin. To all this must be added the retreats during major liturgical periods such as Advent or Lent as well as diverse lectures and debates in which he participated. The students spread the word, one would invite another to the spiritual and philosophical encounters of this ‘extraordinary Indian priest’ (usually it was not known that he belonged to Opus Dei, while certain negative opinions about this organization were just being spread). One can assume that Panikkar in the 60’s was loved, esteemed, respected and even famous among students in Rome. In other words, he was good in this profession, as we have already seen in Madrid. During the academic year 1962-1963, as visiting professor in the philosophy department chaired by Enrico Castelli, Raimon taught a course on “Sat and A-sat in the Upanishad”, i.e. on being and non-being in Indian Vedic philosophy. It was believed that such a topic would be of little interest and in reality at the beginning of the course there were only a few students present in the classroom. But with the passage of time while the instructor developed the presentation of this rather abstract and esoteric topic, the classroom began to fill up more and more, and at the end of the course it was literally packed. Panikkar had succeeded in conquering the academic public of Rome. This spreading out in different circles and on different levels procured for him, besides fame and admiration, some friendships that lasted for his entire life, among which that of Carlo Brutti, at that time a medical student, and that of Marina Vesci, daughter of a Roman notary on via Nazionale. The beginning of his friendship with Bettina Bäumer is interesting and significant as well. Because of Enrico Castelli’s academic initiatives, Panikkar found himself in Salzburg in 1961, with the intention moreover of teaching in that university for two or three months every year while simultaneously collaborating with “La Sapienza” university in Rome. Through acquaintances Raimundo was invited to the home of Eduard and Valerie Bäumer, an artistic couple (Eduard was a painter), confirmed vegetarians who were interested in Gandhi, Tagore and Krishnamurti. Having come only for an evening reception at which were present luminaries of the local culture, Panikkar nonchalantly sat on the divan with his legs crossed in yoga position while affirming with a smile: “We must be flexible”. One of the three Bäumer daughters, twenty-year old Bettina, a cello student in the “Mozart Academy of Music”, was very impressed by the behavior and conversation of this strange Catholic priest who was talking about the experience and research of certain Christian monks in India, in particular, Henri Le Saux, or Abhishiktānanda. The next day Bettina Bãumer went to the mass celebrated by Panikkar in one of the city’s gothic churches and here also was so struck by his manner of celebrating so intensely that, even though she was not Catholic, she went up to receive communion. Bettina Bãumer and Raimon Panikkar remained in contact. A few months later, the young cellist moved to Rome, converted to Catholicism, began religious studies at “Sapienza” and entered Castelli’s entourage. The latter offered her various ‘small jobs’ thanks to which she could discretely remain in a foreign country. But here is a curious note: when she had just arrived in Rome Panikkar sends her to a retreat conducted by Opus Dei, probably with the intention of making her a numerary. Bettina didn’t at all like the atmosphere or style of the organization. The fact however is interesting in itself in order to understand Panikkar’s spirit and mentality at this time, when he was a sincere and convinced numerary. In Rome while he was carrying out his mission as university chaplain he also conducted a series of celebrations for students in the university chapel of the “Sapienza” campus. For Advent, i.e. in the autumn of 1962, he spoke of the Church that is the hope of humanity, of peoples and of individuals; in the spring, during the season of Lent, he explained how the Church purifies and pardons, and then during the Easter Triduum he developed the theme of the joy of Easter. Based on notes taken by those present, the text was put together by Carlo Brutti, revised by Panikkar and printed in 1968 by the Vicenza publishing house ‘La Lucusta’, with the title The Joy of Easter. (The Passover’s Joy?) It is worthwhile to linger briefly over this booklet because in some way it reveals the spirit that the author radiated in that period and offers an opportunity to understand ‘the why’ of his success, even though we are dealing only with the text and not with the entire atmosphere of the celebration. Thus we will see Panikkar, not as a philosopher or a writer, but as a homilist. Above all it is a simple and limpid book that reveals the talent of a homilist who knows how to be clear. This is not always characteristic of his texts, which can be difficult and sometimes truly complicated. On the contrary, it seems that as homilist he succeeded in being clear, and this undoubtedly was one of the elements that made his listeners admire him. Secondly it must be noted that he is very logical and didactic in his exposition. He weaves the plot step by step up to the climax, but he does it in such a way that the listener can easily remember all the steps proposed by the speaker. From the very beginning the listener is drawn to the conviction that the desire to be happy is embedded in man and that this is strictly tied to the relationship with divine transcendence achieved through faith. With the second lecture he learns that man can be happy by being religious and that religion is something extremely graceful (from ‘grace’) and beautiful. In the third lecture he is persuaded that this happiness and this beauty are achieved when man becomes no less than God Himself, and this perspective, although dizzying, is achievable with, in and thanks to Jesus Christ. Panikkar, on one hand succeeds in extracting the essence from the immense Christian tradition and on the other hand makes it attractive and real with his very original explanations. One could rebut that nothing is more obvious and taken for granted than the act of faith, but he answers that it is always new: “It’s like skiing on a slope of virgin snow where no one has yet placed skis; one glides on it for the first time knowing that a new trail is begun on virgin snow because no one has tread on it”23. In ancient Rome, weighed down by doctrines and religious maxims, this man was explaining to students that religion is not “following regulations dictated to man by a more or less capricious God” in the puritan sense, but giving voice in their life to the profound desire to be happy because ‘joy is the religious category par excellence’24. And finally he affirms: ‘this is the Christian vocation: to be truly God, to arrive at the ultimate bosom of Divinity, to be one thing only with Christ and thus to enter fully into partaking in the divine, the full and total joy, to continue creation, redemption, the constant and totally renewed involvement of a life that then is the true life’25. No wonder that his words, accompanied by his manner of being that confirmed this same joy, generated enthusiasm. Under this clear structure and charming language, a theocentric radicalism was also hidden in the heart of the homilist, which in time would undergo a certain evolution. In 1963, speaking to students about faith, he affirms: “In order to have faith, joy, peace, serenity, in order to give meaning to life, one needs faith in an object: not just any object, however, because life is more than a second, is longer than a day and more difficult than a week”26. This ‘object’ for him was obviously ‘God’. Later, however, when he would deepen his reflection on faith, Panikkar would be inclined to affirm that ‘faith does not have an object. Faith […] is a consciousness without object’27. But this would concern a Panikkar who changed certain coordinates of his discourse on faith thanks to profound dialog with other religions. Whereas his affirmation of the Easter Joy, in which he confesses that “man is nothing outside of God or independently from God”28, is a typical theocentric discourse precisely of all monotheisms that, as is known, sooner or later put in crisis the value of the world and the freedom of man. Such a perspective would be softened and modified thanks to his theory of cosmotheandric inter-in-dependence, in which even God is nothing without the cosmos and without man. The culminating point and the dramatic turn of events in Panikkar’s entire discourse to the students during that Easter night in 1963 in the chapel of ‘Sapienza’ took place when, after having declared “We Christians are called to become God and this is the message of Christian joy’29, he dryly affirmed: “ But the condition is what is fulfilled in our life and has been fulfilled in the life of Christ: the cross. The only condition for resurrection is death. The only condition to live the truly Christian life is to resurrect. But only he who dies resurrects. He who doesn’t die, who is afraid, who doesn’t die to his own ego, cannot resurrect”30. These words were like an incantation and a prophecy for the homilist himself, like a program that surely was springing from the deepest part of his heart marked by the Easter dynamic ‘death-resurrection’; but the man who uttered them didn’t know what soon would be asked of him himself to give testimony to them and to live them in pain, in strange and unimaginable conditions, that would open up a new stage in his life.